Over the past four years we have developed Larkins as a catering business and have recently opened up Larkins Delicatessen at Hebden Parade in the heart of Croxteth. 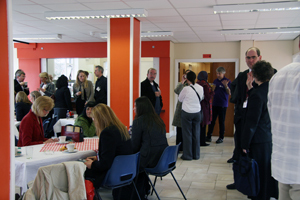 Larkins Catering, was set up to provide healthy food options for staff and students at The Communiversity and Alt Valley Skills Centre and went on to extend its services to include outside catering and the recently opened delicatessen at Hebden Parade. 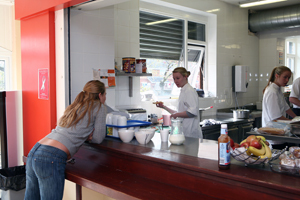 The Deli offers a wide range of freshly produced hot and cold menus, fresh salad, fruit and veg and homemade soups, as well as locally sourced meats and bread freshly baked on the premises. The fresh salad, fruit and veg and herbs are all delivered to the Deli on a daily basis from Larkins Farm, on the border of Croxteth. 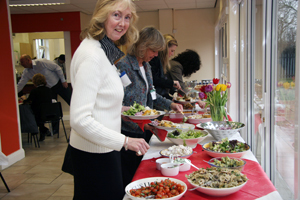 The busy Event Catering support arm provides quality hot and cold buffets for a wide variety of events across Liverpool.